Windows Defender is one of the important features of Windows 10 as it provides inbuilt protection for the OS from malware and viruses. It is enabled by default on Windows 10. But at times it can also show issues and errors. And these errors could be because another security tool is preventing the Windows Defender from working properly. 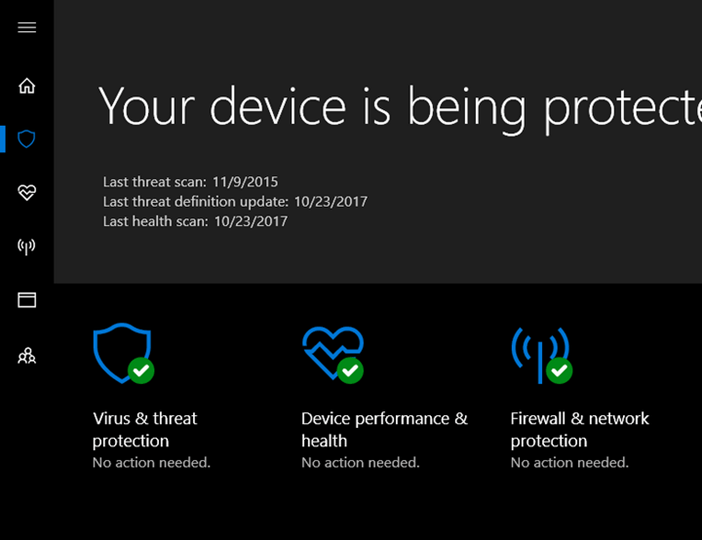 Error 577 on Windows Defender is one such error where you are not able to enable virus protection on Windows 10 using Defender. The error reads as follows “Error 577: Windows cannot verify the digital signature for this file..”. So how to fix the Error 577 on Windows Defender? Let’s find out in this post. There are many reasons why this error could have happened on your PC. One reason could be due to a Malware attack which might have disabled the Windows Defender on your PC. In such cases, you need to clean your PC of any Malwares. Another reason could be due to another installed Antivirus which is preventing Windows Defender. In such cases, you might need to uninstall the third party tools. The simplest solution to fix the Error 577 on Windows Defender is using Registry. 1. Open Registry Editor and for this use Run command on Windows 10. 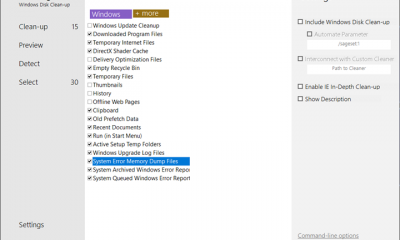 Press the Windows Key + R and type regedit and press enter. This will open the registry editor. 2. 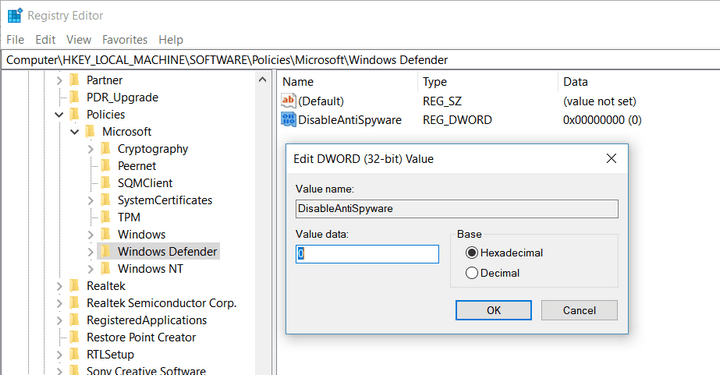 Now navigate to the key HKEY_LOCAL_MACHINE-> SOFTWARE-> POLICIES-> MICROSOFT -> WINDOWS DEFENDER. 3. Now click on the WINDOWS DEFENDER key on the left panel and this will show some entries on the right panel. Here you will see DisableAntiSpyware entry. 4. Double click on the entry and you can see the popup as shown in the screenshot below. 5. 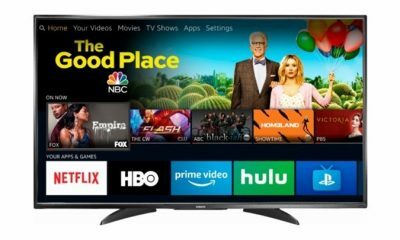 Now change the value data from 1 to 0. The value 1 indicates it is disabled and value 0 means it is enabled. 6. 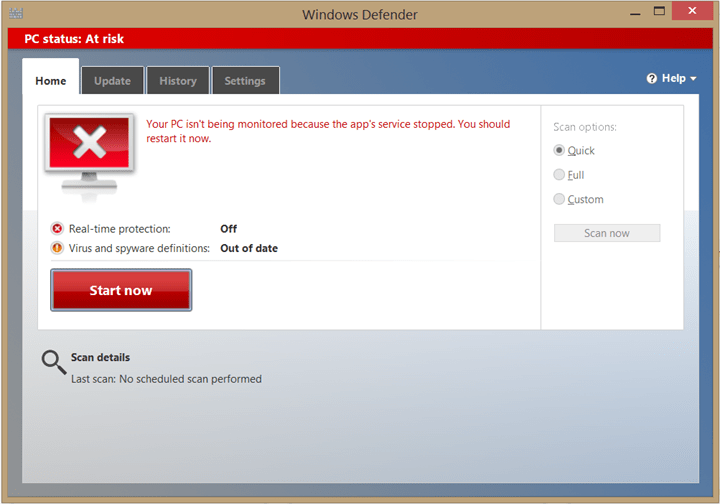 Now you will see that Windows Defender is enabled and the error will not come back again. 7. You can also manually run the Defender AV tool from C:\Program Files\Windows Defender and double click on the file MSASCui.exe. Fix Error 577 on Windows Defender follow this step to solve this issue. Click on the Windows Defender-associated entry.